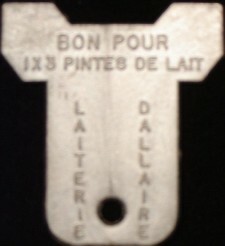 Born in St-Samuel de Beauce, Mr. Albert Dallaire attended the St-Hyacinthe Dairy school and graduated with a diploma in butter manufacturing. 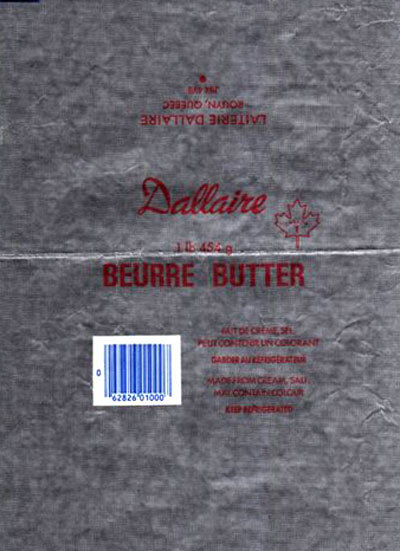 He operated a small butter manufacturing business in St-Samuel de Beauce and was one of the first licensed butter producers in the province of Quebec. Since he didn't like the farming conditions of this area, he decided to visit some relatives in the Abitibi area, and decided to settle there. 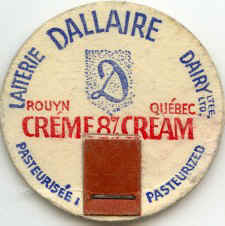 In 1919, the family established themselves in La Reine, near La Sarre. Because of the poor economy, business wasn't the greatest. 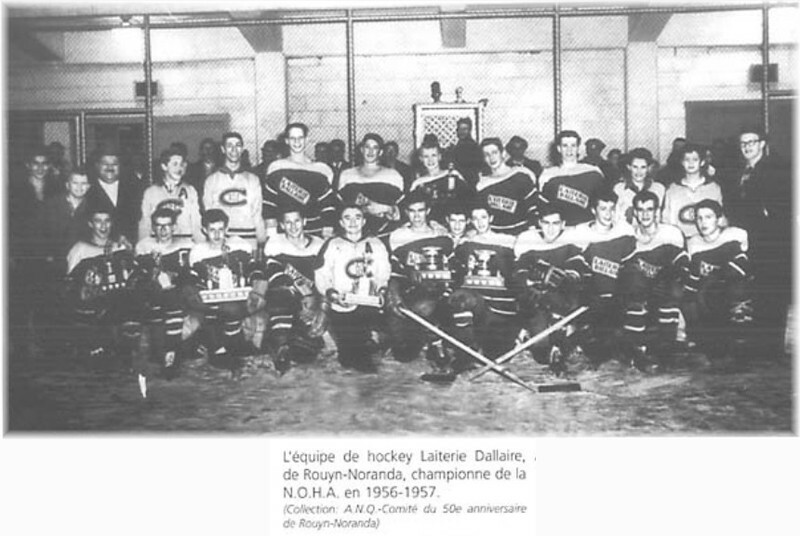 By 1930, the neighboring city of Rouyn was in full growth because of the mines, so Mr. Dallaire moved his business there. He bought a small house located at 26, West Mgr. Rheaume street. 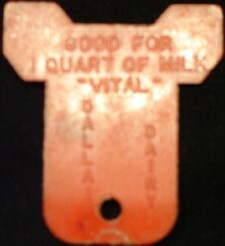 The small dairy measuring 10' by 15' was attached to the house and at the back a small shed housing two small black cows formed the first dairy herd at the time. 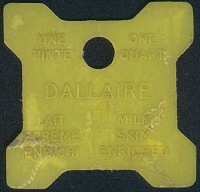 He decided to concentrate his efforts on the dairy industry since it supplied a daily revenue at the time. In 1933, a cattle shed and a hen house was built at 234 Main street in Rouyn, which today is an apartment building. Also, that same year the first horse drawn wagon was purchased for the deliveries and a second one was acquired a year later. 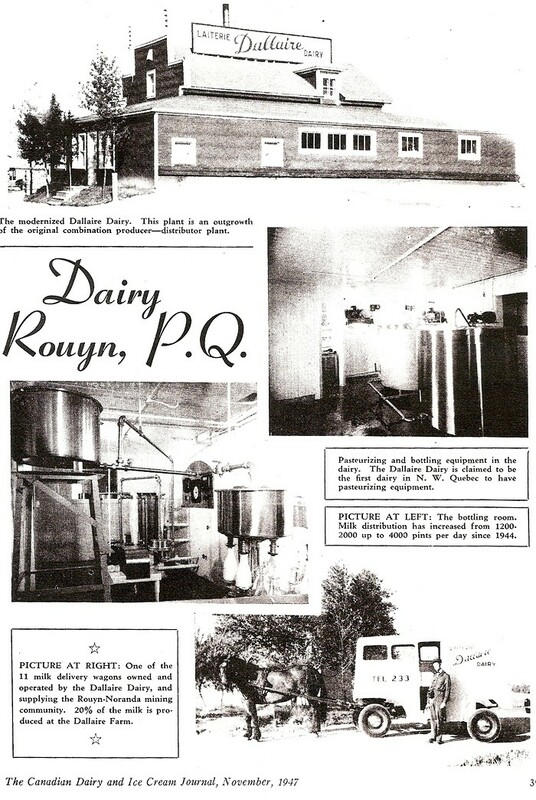 With a steady growth, the first dairy building with two floors measuring 18' by 20' was built in 1935. 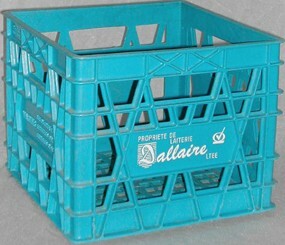 The building comprised of a cold storage room, a washing room, a boiler and bottling room with all of the most modern equipment. In 1936, they sold the house and moved to the farm. Business was growing and in 1937, a change of responsabilities was done. 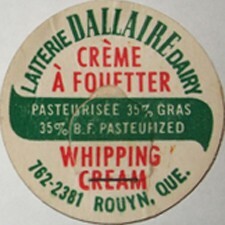 At this point, Albert's son Louis-Philippe became owner of the dairy and bought milk from his father's farm. 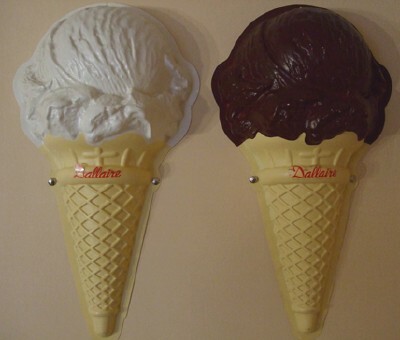 Being his livelyhood Louis-Philippe started to develop the dairy, first the pasteurization began and by November 1947 the purchase of the "Guertin Dairy" and the start of ice cream production began. 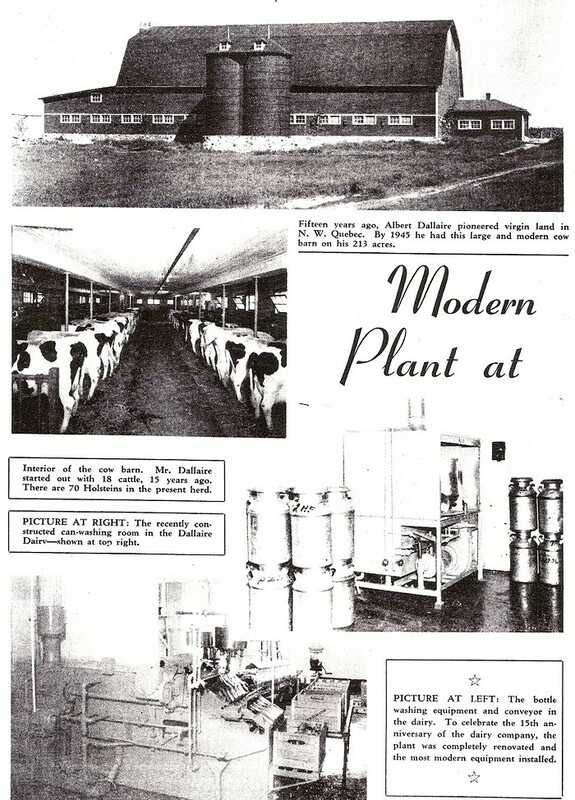 With a constant growth, the small dairy was expanded and in 1958 a large section was added in order to produce butter and powdered milk. 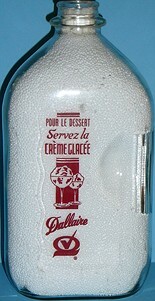 In 1959, the company became owner of the ice cream division of the "Parfondevale Dairy" of Rouyn. 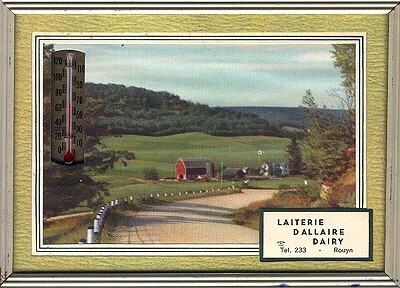 Between 1965 and 1967, the dairy acquired several other dairies in the area : "Lefebvre Dairy" of Amos, "Lacroix Dairy" of Normétal, "Macamic Dairy", "Audet Dairy" of La Sarre, "Ville-Marie Dairy" of Ville-Marie, "Témiscaming Dairy" of Témiscamingue followed by the "Eplett's Dairy" (Quebec division) which was established in Rouyn since 1914. 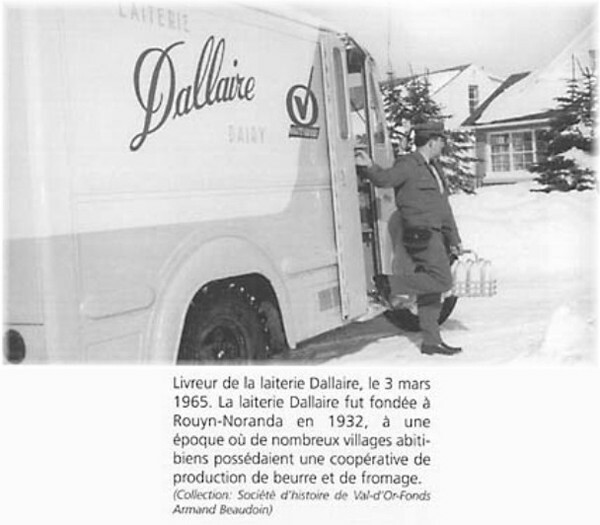 In 1973 Dallaire Dairy sells its shares and assets to "Beurrerie Lafrenière" of Laverlochere. 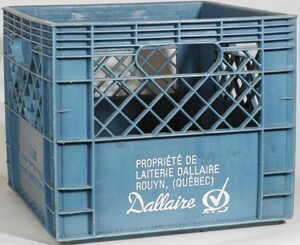 Even with all those changes, it's under Dallaire's name that in 1974 "Senneterre Dairy" was acquired. 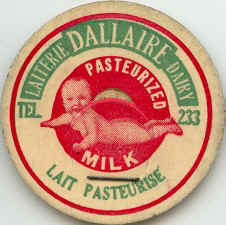 In 1978, Labatt Group became the new owners of Dallaire Dairy with no change in management. 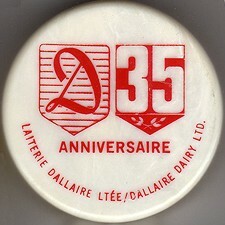 In 1983, the dairy joins the "Aliments Ault Ltd." an exclusive property of the John Labatt Group and was named "Les Aliments Ault Ltée" Dallaire Dairy Division.